WHY KIDS READ IS WHY I WRITE. I have severely neglected this blog. I apologize to my few followers, with an honest expression of the fact that I want to do better. Over the last more-than-a-year since my last post, a lot has happened. Mom’s health declined, we committed to building a home in North Arkansas, and welcomed two orphans from Africa into two church families. I engaged in some reenactor events (including an authentic real life keelboat wreck) but finally, at summer’s end, spent most of my hours preparing to say a final goodbye to Mom. Cancer reoccurred in her and after many prayers, angels ushered her to her eternal home. In and across and thru all of that time my writing has been inexcusably thin. You’d think that something as authentic as a real keelboat wreck would be fodder for writing. Or that months sitting beside Mom, reminiscing and valuing the rich life we have had, would provide deep inspiration. Certainly, at least, time for editing, rewriting, submitting. But I think my problem was focus. I faced contrasting venues: Mom’s intensifying care needs, and decisions required to build a future home. And then I began to sense the unavoidable but impending distance I would soon experience from church, family, and friends. A focus on writing seemed to be a low priority among these thoughts and concerns. Mom’s sweet release, however, seemed to be a point in my time-line where I could regroup my thoughts. I found myself refocusing, sometimes out of a necessity to do something in place of my previous constant caregiving mode. A timely event has assisted my refocus. The most satisfying writing venue I’ve been a part of, Poetic Bloomings hosted by Marie Elena Good and Walt Wojtanik, has re-emerged after a long rest. The garden gate has reopened, and I find myself wandering along paths flowered with verse, where old friends and new ones are found around each bend. It is a refreshing and renewing opportunity for my writing life. A weekly prompt offers glance into the souls of peer poets, a gentle dare to challenge my skills, a nudge to write for shared poetic joy. It is a fortunate mercy I’ve been waiting for, and one I plan to relish. It’s a focused mercy my heart has needed. Poetry is at the root of my writing passion. So it feels right to get back into writing–for children, for hire, for myself–along a lyrical path like Poetic Bloomings. Go to my poetry page here to see this week’s attempt to creatively explain what my website means to me… as you might suspect, poetically expressed. ← Rowing, Cookies, Camaraderie, Rum! You and I have walked a similar path in recent years, for certain. I wouldn’t trade a moment caring for my mom and dad, as I’m sure you wouldn’t trade yours. Yet I think it’s okay to admit that we are happy to be back writing, reading, and engaging in poetry and with poetic hearts. Thank you, Damon, for your kind words and encouragement. I hope you know how much talent and heart you exhibit in your poems. God bless you! Condolences to you and your family on the loss of Mom. Tough times seem to bring blessings in their own way. I pray you find peace and comfort in its time. Glad to see you back in the saddle. I too have been very sporadic in my writing/posting and I think you hit the nail on the head – focus. A little kick in the rear never hurts either. Take Care….. I did not know you had been caring for your mom or that she had passed. Prayers for you, my friend, as you learn to navigate a new path. I hope the writing will be a source of comfort and challenge. 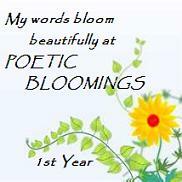 I look forward to seeing what poems and new creations you’ll craft for our kids everywhere! Thanks Traci. She was tired and ready to go home. I and my siblings start a new chapter now. What Will Float My Writing Boat in 2017? Want your inner poet lit? I've joined the 12 x 12 in 2013 Picture Book Challenge. Find out more! Steve Swinburne is a children's book author from Vermont with over 30 published books. His most recent book, "Sea Turtle Scientist", is published by Houghton Mifflin Harcourt and on book shelves now! Ramblings on explorations of Creation. Mother Streusel's useless rhymes are full of nonsense and should be avoided if your doctor has prescribed a regimen of seriousness. Proceed with caution.